Kevin Hargrove, M.D. graduated from Oklahoma State University with a Bachelor of Science in Chemical Engineering. He obtained his degree in Medicine from the University of Oklahoma College of Medicine and completed his Orthopedic Surgery Residency at the University of Oklahoma Health Science Center. Dr. Hargrove completed a fellowship in AO International Trauma/Sports Fellowship with Dr. Oestern at The General Hospital in Celle, Germany, and in Mainz, Germany. He then joined a nationally recognized research-based private practice in Virginia to complete his work in the subspecialty of Sports Medicine Arthroscopic Surgery. Dr. Hargrove then moved to Fayetteville, Arkansas, where he worked a year with a team of physicians connected to the University of Arkansas sports program, before relocating permanently to Oklahoma. 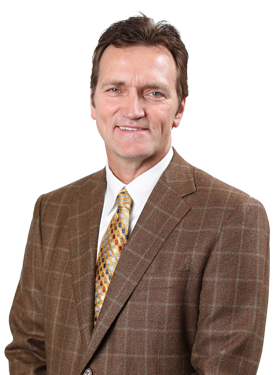 A Board Certified Orthopedic Surgeon, Dr. Hargrove has served as the team physician for the United States National Softball Team since 2004 and was a United States Olympic physician for the 2008 Summer Olympics in Beijing. Dr. Hargrove was a United States team physician for the 2007 Pan Am Games and has traveled to several international events for a variety of Olympic trial events. Dr. Hargrove is also the team physician for Carl Albert High School, Oklahoma Christian School and Mayfield Middle School.